Iran’s chief of staff of armed forces has called on Europe to pay long overdue blood money for crimes against the Iranian nation during the World War l, in a signal of intensifying tensions between Iran and Europe over the fate of the JCPOA. 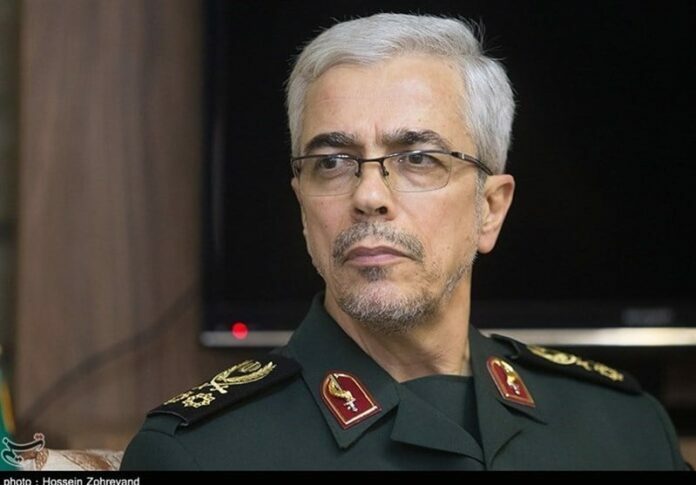 Speaking on Tuesday, Major General Mohammad Baqeri said Europeans who accuse Iran of violating human rights have caused committed crimes in the country. “Today, [they] shamelessly talk about human rights and believe Iran is violating human rights standards, this is while Europe shamefully caused Iranians that catastrophe and unfortunately we said nothing,” he underlined. General Baqeri was referring to the widespread famine in Iran during World War I, caused by the British presence in Iran. “Europeans should make apologies and pay real blood money,” he added. Iran in recent months has been lamenting that Europeans are dragging their feet in honouring pledges to protect Iran’s economic interests under the JCPOA. Following the US withdrawal from the nuclear accord early May, Iran said it will not remain in the nuclear accord unless other members to the pact compensate for the US pullout. The EU has vowed to create a special finance mechanism to protect Iran’s foreign trade as the US is working to damage Iran’s economic relations. The mechanism was to become operational by the end of last year, but the EU has failed to do that so far.